Combine honey, brown sugar, olive oil, salt, and hot water. Add yeast. Sit a few minutes and let it proof. I finally got to try this! 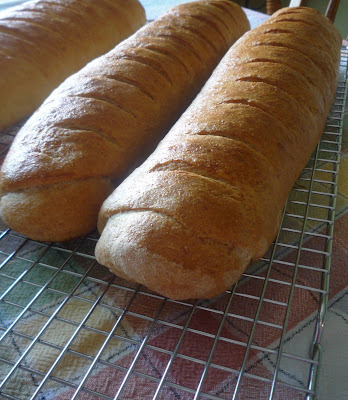 The family loved it served as garlic bread...and it was very easy to make!